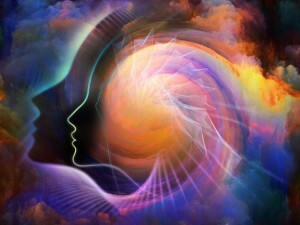 Wake your mind today with some personal development to rejuvenate your soul and uplift your spirits. When was the last time you treated yourself to something good? I am not talking food. I am talking from within yourself. When was the last time you felt good inside? You only know what makes you happy. You only know what makes you smile. When was the last time you felt your body smile? When was the last time you felt your body be happy? Indulge in a day at the spa. Indulge in music that’s good for your soul, like Chakra music. Indulge in some personal development, whether it be audio, video, or a literary piece. Think of yourself for once and just indulge. This is not egotistical – this is self-love, something that’s good for you that makes you feel good inside. You have to learn to love yourself before you can love anyone else, because if you love everyone else but yourself, you are wearing yourself thin and selling yourself short. Take some time to be able to breathe and enjoy life. Nurture yourself with something good everyday, so you will feel relaxed and loved on the inside. Wake up your body; wake your mind today. If you enjoyed Wake Your Mind Today, like and comment please.